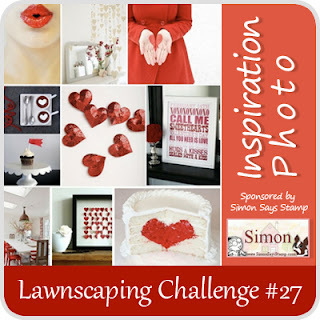 Lawnscaping have a great inspiration photo for their challenge #27. I was inspired by the shiny hearts in the photo and came up with this. Oh how cute is this! 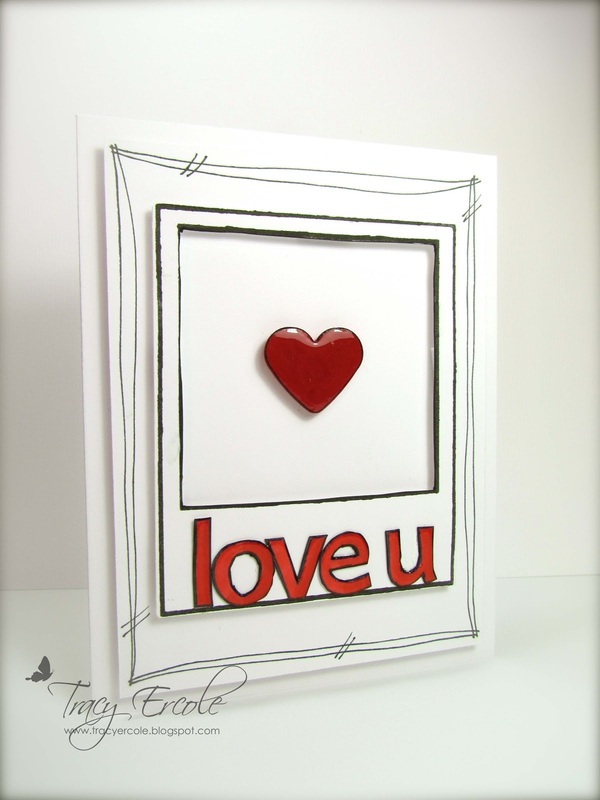 I LOVE the shiny heart as the focal point of this card. Inside the polaroid with the hand drawn frame around it makes it stand out even more. This is fantastic! LOVE THIS Tracy! So glad you joined us for this challenge. This is beautiful! 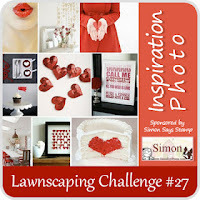 Congratulations on your blog nomination! 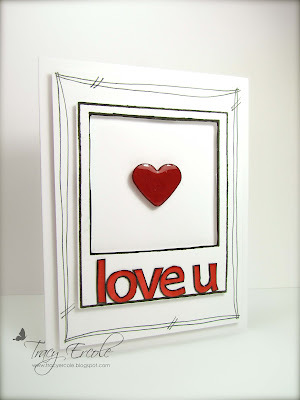 Your work really is lovely!